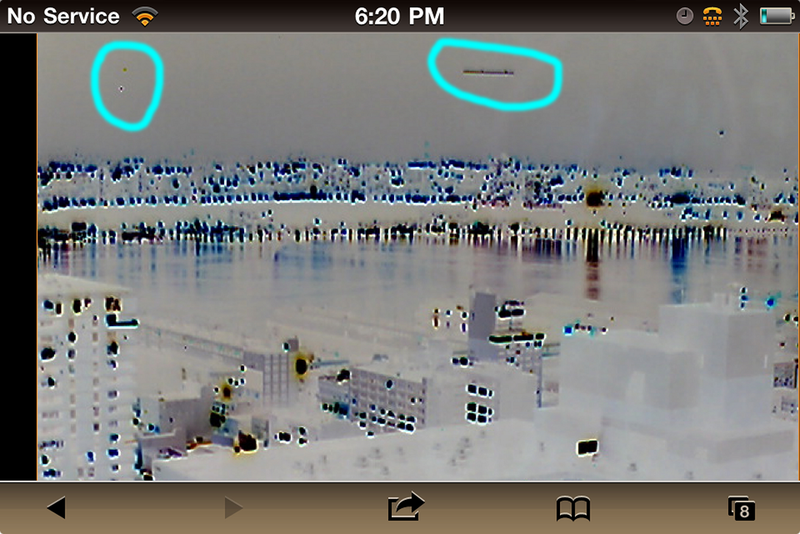 Latest UFO sightings – This screen shots were captured from Earth’s cam in New York City on Sunday, 12th December 2010. 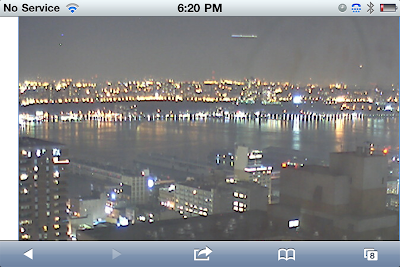 Author’s report: Disc shape object on NYC earthcam captured with screen shot on Iphone. Numerous sightings on NYC webcams via Earth cam. Almost every night mysterious objects flying over NYC and NJ on cam. Different colors and shapes and sometimes way to close together to be airplanes. Also strange activity over Patagonia, Chile webcam last night, crazy lights in sky flying rapidly in all directions. How is this not a top story on our news? Why is no one doing anything about this? Our own airspace is being invaded. What gives?! the 2 on the left have been there for weeks since october. they are not ufos! they are part of the cam itself. the one on the right is def. a ufo! I&#39;ve seen that shape in so many UFO photos now it&#39;s crazy. The only thing I question is why its always in that perfect angle in photos, so it makes me think it might be something other than something floating in the sky. Hope I&#39;m wrong. wow.. I have seen this more then once now.